And it has thought it meet that a list of the sacred books be inserted in this decree, lest a doubt may arise in any one's mind, which are the books that are received by this Synod. They are as set down here below: of the Old Testament: the five books of Moses, to wit, Genesis, Exodus, Leviticus, Numbers, Deuteronomy; Josue, Judges, Ruth, four books of Kings, two of Paralipomenon, the first book of Esdras, and the second which is entitled Nehemias; Tobias, Judith, Esther, Job, the Davidical Psalter, consisting of a hundred and fifty psalms; the Proverbs, Ecclesiastes, the Canticle of Canticles, Wisdom, Ecclesiasticus, Isaias, Jeremias, with Baruch; Ezechiel, Daniel; the twelve minor prophets, to wit, Osee, Joel, Amos, Abdias, Jonas, Micheas, Nahum, Habacuc, Sophonias, Aggaeus, Zacharias, Malachias; two books of the Machabees, the first and the second. The seven books which are missing in Protestant Bibles are called the Deuterocanon, or "second canon" since the sixteenth century Protestant revolt. They are the books of Ecclesiasticus, Wisdom, Tobit, Judith, Baruch, 1 Maccabees, and 2 Maccabees. The "second canon" are all the other books. The Protestants refer to the Deuterocanon as the Apocrapha, a term used to indicate non-inspired books that are closely related to Scripture, but are not part of it. In this post, the inspiration and importance of the Deuterocanon will be explained and defended. The Deuterocanon (hereinafter "DC") was accepted by the earliest extant complete copies of the Bible; the Great Codices. The Jews at the time of Christ, and the Church Fathers (with a few notable exceptions) accepted the DC as canonical. (See e.g.,theologian Breen, A General Introduction to the Study of Sacred Scripture, ). The first Father to call into question the inspiration of the DC was St. Jerome, whose Vulgate became the definitive Catholic Bible. His opinion on everything biblical was echoed by medieval theologians; hence why more than a few rejected the DC. However, several North African councils condemned his idea that those seven books were not divinely inspired when he first announced it. Remember, the Canon of Scripture would not be defined until Trent. The issue soon died down, with the DC left in Scripture. In 1519, heretic Martin Luther debated theologian Johann Eck on the doctrine of Purgatory. 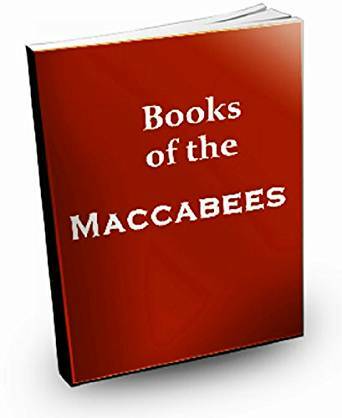 Eck cited a number of passages in support of the teaching, most notably, 2 Maccabees 12: 45-46, which reads "And because he considered that they who had fallen asleep with godliness, had great grace laid up for them. It is therefore a holy and wholesome thought to pray for the dead, that they may be loosed from sins." This is a clear and direct reference to Purgatory. Luther responded that the books of Maccabees were part of the DC and not inspired. Eck countered with references to St. Augustine and the Church local councils who accepted the DC. Luther stated the position of St. Jerome, and ever since, Protestants have made sure to keep the DC out of their bibles. If Purgatory is admitted, other Protestant heresies on grace, justification, sin, and Penance would likewise fall. One of the biggest lies leveled against the DC by Protestants is that the New Testament never references the DC. Not only is this false, but the earliest Protestant Bibles written in English show that they themselves did not hold to such an erroneous view. Many of the earliest Protestant Bibles contained cross-references, in the notes to the New Testament, to the DC ( to give but two examples, Matthews Bible  and the King James Bible ). When the redacting of the DC began in earnest, the cross-references in the notes were removed as well. This is where the false notion of a "New Testament free of DC references" took root. Let me begin by saying that just because a book of the Old Testament is cited in the New Testament is not proof of divine inspiration, and its absence of citation in the New Testament is not proof it is merely a human work. If that were true, the Book of Esther, which is not referenced in the New Testament, would not be considered part of the Canon of Scripture despite its universal acceptance as such. That is patently absurd. However, if the Old Testament book is used authoritatively by the Jewish religious leaders, that would show it is not considered a mere human writing. St. Matthew 27:43 states, "He trusted in God; let him now deliver him if he will have him; for he said: I am the Son of God." This was the taunt of the Jewish leaders while Our Lord was dying on the cross. Protestant Bibles cross-reference Psalm 22:8, "He hoped in the Lord, let Him deliver him: let Him save him, seeing He delighteth in him." This does not do the passage in St. Matthew's Gospel justice. The Jews thought that God should deliver Christ not simply because He trusted in God, but more to the point, He claimed to be the Son of God. The early Protestant Bibles correctly referenced the DC Book of Wisdom 2:18, "For if he be the true son of God, He will defend him, and will deliver him from the hands of his enemies." Clearly, the Jews accepted Wisdom as inspired because they expected Christ to be the recipient of God's deliverence if He were the Son of God as He claimed. There are other examples but time limitations (and trying to keep my posts somewhat terse) will restrict me to this solitary instance. Most modern Scripture scholars (no friends of Traditionalist Catholics) will admit that most Jews of the first four centuries after Christ continued to copy the DC in their Scripture, even after most Jews came to repudiate them (for many reasons that I will not expound upon). This would show that the Jews did originally accept them. Analogous to this is the copying and retention of the DC by the early Protestants who nevertheless denied their inspiration and derided them as the Apocrapha. The reason for this can be found in heretic Ulrich Zwingli's Preface to the Zurich Bible (1531). He wrote that the DC was retained "so that no one may complain of lacking anything, and each may find what is to his taste." (See Neusner The Babylonian Talmud: A Translation and Commentary, Hendrickson Publishers, Peabody, MA , pg.91). The North African bishop councils, following St. Augustine, affirmed that the the DC was read as Sacred Scripture in churches that had been established by the Apostles themselves (See St. Augustine, On Christian Doctrine 2:12) Pope St. Innocent I, in his letter Consulenti tibi (2/20/405 A.D.), addressed to the bishop of Toulouse reaffirmed using the Canon as given at Hippo and defended by St. Augustine. St. Jerome based his rejection of the DC on his belief that only those books should be accepted as authentic parts of the Old Testament if they conformed to the Hebrew Masoretic Text ("HMT"). The HMT was the single normative text for Judaism by the fourth century A.D. So when the great saint was commissioned by Pope St. Damascus I to make a definitive Latin Bible, the HMT is what guided him, because all other Hebrew manuscripts in circulation had been lost. St. Jerome though that the HMT was a direct descendant of the inspired original writing. This all changed with the discovery of the Dead Sea Scrolls (1946-1956), and showed that the Hebrew Masoretic Text was not a direct descendant of the inspired original as St. Jerome erroneously believed. These manuscripts show earlier Jewish texts accepting the DC, and give secular proof to the veracity of the Council of Trent. The term "heretic" literally means "to choose" what you will believe. The DC is a perfect example of picking and choosing beliefs. When Luther was confronted with evidence that Scripture confirmed Purgatory, he removed the DC from the Bible so he could keep the beliefs he invented as he saw fit. There are those, even today, who hide their heads in the sand from the evidence, and choose to follow Bergoglio as "pope" even as he "celebrates" Martin Luther and the 500th anniversary of his rejection of the One True Church and the complete Bible. Protestantism is dying out, especially in Europa & Australia. Protestant converts in South America,who are former Catholics themselves,are now converting to Islam & Paganism. Yes. A typical case of going out of the frying pan and into the fire. You're correct and also even more on target (along with previous Catholic priests bishops laymen) with asserting how Protestantism leads to a complete loss of Christian faith/identity. They shouldn't have killed Savanarolla. Thank God for the Council of Trent. It's great to see someone reference Savonarola. Very forgotten individual, who in my book at least, should be a Saint. I will help this article out a little by posting the following great proof for the deuterocanonical books. Hopefully, many protestant reading your blog will wake up from their errors and be converted. Also, I would like to advice you to rather think of "better" than "shorter" when it comes to making articles, since if the information and proof used was not so good as it could have been, it will have a lesser effect on converting people or make them "consider" the info. DEUTEROCANONICAL BOOKS IN THE NEW TESTAMENT SCRIPTURE DISPROVING THE PROTESTANT BIBLE! Matt. 2:16 - Herod's decree of slaying innocent children was prophesied in Wis. 11:7 - slaying the holy innocents. Matt. 6:19-20 - Jesus' statement about laying up for yourselves treasure in heaven follows Sirach 29:11 - lay up your treasure. Matt.. 7:12 - Jesus' golden rule "do unto others" is the converse of Tobit 4:15 - what you hate, do not do to others. Matt. 7:16,20 - Jesus' statement "you will know them by their fruits" follows Sirach 27:6 - the fruit discloses the cultivation. Matt. 9:36 - the people were "like sheep without a shepherd" is same as Judith 11:19 - sheep without a shepherd. Matt. 11:25 - Jesus' description "Lord of heaven and earth" is the same as Tobit 7:18 - Lord of heaven and earth. Matt. 12:42 - Jesus refers to the wisdom of Solomon which was recorded and made part of the deuterocanonical books. Matt. 16:18 - Jesus' reference to the "power of death" and "gates of Hades" references Wisdom 16:13. Matt. 22:25; Mark 12:20; Luke 20:29 - Gospel writers refer to the canonicity of Tobit 3:8 and 7:11 regarding the seven brothers. Matt. 24:15 - the "desolating sacrilege" Jesus refers to is also taken from 1 Macc. 1:54 and 2 Macc. 8:17. Matt. 24:16 - let those "flee to the mountains" is taken from 1 Macc. 2:28. Matt. 27:43 - if He is God's Son, let God deliver him from His adversaries follows Wisdom 2:18. Mark 4:5,16-17 - Jesus' description of seeds falling on rocky ground and having no root follows Sirach 40:15. Mark 9:48 - description of hell where their worm does not die and the fire is not quenched references Judith 16:17. Luke 1:42 - Elizabeth's declaration of Mary's blessedness above all women follows Uzziah's declaration in Judith 13:18. Luke 1:52 - Mary's magnificat addressing the mighty falling from their thrones and replaced by lowly follows Sirach 10:14. Luke 2:29 - Simeon's declaration that he is ready to die after seeing the Child Jesus follows Tobit 11:9. Luke 13:29 - the Lord's description of men coming from east and west to rejoice in God follows Baruch 4:37. Luke 21:24 - Jesus' usage of "fall by the edge of the sword" follows Sirach 28:18. Luke 24:4 and Acts 1:10 - Luke's description of the two men in dazzling apparel reminds us of 2 Macc. 3:26. John 1:3 - all things were made through Him, the Word, follows Wisdom 9:1. John 3:13 - who has ascended into heaven but He who descended from heaven references Baruch 3:29. John 4:48; Acts 5:12; 15:12; 2 Cor. 12:12 - Jesus', Luke's and Paul's usage of "signs and wonders" follows Wisdom 8:8. John 5:18 - Jesus claiming that God is His Father follows Wisdom 2:16. John 6:35-59 - Jesus' Eucharistic discourse is foreshadowed in Sirach 24:21. John 10:22 - the identification of the feast of the dedication is taken from 1 Macc. 4:59. John 10:36 – Jesus accepts the inspiration of Maccabees as He analogizes the Hanukkah consecration to His own consecration to the Father in 1 Macc. 4:36. John 15:6 - branches that don't bear fruit and are cut down follows Wis. 4:5 where branches are broken off. I try to make my articles brief and good, due to my time constraints, but your point is well taken! 2 Tim. 3:16 - the inspired Scripture that Paul was referring to included the deuterocanonical texts that the Protestants removed. The books Baruch, Tobit, Maccabees, Judith, Sirach, Wisdom and parts of Daniel and Esther were all included in the Septuagint that Jesus and the apostles used. Sirach and 2 Maccabees – some Protestants argue these books are not inspired because the writers express uncertainty about their abilities. But sacred writers are often humble about their divinely inspired writings. See, for example, 1 Cor. 7:40 – Paul says he “thinks” that he has the Spirit of God. The Protestants attempt to defend their rejection of the deuterocanonicals on the ground that the early Jews rejected them. However, the Jewish councils that rejected them (e.g., School of Javneh (also called “Jamnia” in 90 - 100 A.D.) were the same councils that rejected the entire New Testament canon. Thus, Protestants who reject the Catholic Bible are following a Jewish council that rejected Christ and the Revelation of the New Testament. Matt. 5:26,18:34; Luke 12:58-59 – Jesus teaches us, “Come to terms with your opponent or you will be handed over to the judge and thrown into prison. You will not get out until you have paid the last penny.” The word “opponent” (antidiko) is likely a reference to the devil (see the same word for devil in 1 Pet. 5:8) who is an accuser against man (c.f. Job 1.6-12; Zech. 3.1; Rev. 12.10), and God is the judge. If we have not adequately dealt with satan and sin in this life, we will be held in a temporary state called a prison, and we won’t get out until we have satisfied our entire debt to God. This “prison” is purgatory where we will not get out until the last penny is paid. Matt. 12:32 – Jesus says, “And anyone who says a word against the Son of man will be forgiven; but no one who speaks against the Holy Spirit will be forgiven either in this world or in the next.” Jesus thus clearly provides that there is forgiveness after death. The phrase “in the next” (from the Greek “en to mellonti”) generally refers to the afterlife (see, for example, Mark 10.30; Luke 18.30; 20.34-35; Eph. 1.21 for similar language). Forgiveness is not necessary in heaven, and there is no forgiveness in hell. This proves that there is another state after death, and the Church for 2,000 years has called this state purgatory. Luke 12:47-48 - when the Master comes (at the end of time), some will receive light or heavy beatings but will live. This state is not heaven or hell, because in heaven there are no beatings, and in hell we will no longer live with the Master. 1 Peter 3:19; 4:6 - Jesus preached to the spirits in the "prison." These are the righteous souls being purified for the beatific vision. Gen. 50:10; Num. 20:29; Deut. 34:8 - here are some examples of ritual prayer and penitent mourning for the dead for specific periods of time. The Jewish understanding of these practices was that the prayers freed the souls from their painful state of purification, and expedited their journey to God. Baruch 3:4 - Baruch asks the Lord to hear the prayers of the dead of Israel. Prayers for the dead are unnecessary in heaven and unnecessary in hell. These dead are in purgatory. 2 Macc. 12:43-45 - the prayers for the dead help free them from sin and help them to the reward of heaven. Those in heaven have no sin, and those in hell can no longer be freed from sin. They are in purgatory. Luther was particularly troubled with these verses because he rejected the age-old teaching of purgatory. As a result, he removed Maccabees from the canon of the Bible. Since Catholic teaching on Mary is one of the greatest obstacles for conversion for Protestants, I would like to post a little about it also. But I will start with Catholic teaching on venerating saints, relics and images, since this in itself shows that Holy people in Heaven could and should be honored. How much more then the Arc of the New Covenant, the Blessed Virgin Mary Mother of God - who contained God Himself in Her womb! PROOF FOR THE CATHOLIC PRACTICE OF RELICS! NO CATHOLIC TEACHING HAS EVER CALLED THE RELIC SUPERNATURAL BY ITSELF WITHOUT GOD'S HELP! 2 Kings 2:8 - And Elijah took his mantle, and wrapped it together, and smote the waters, and they were divided hither and thither, so that they two went over on dry ground. 2 Kings 13:21 - And it came to pass, as they were burying a man, that, behold, they spied a band of men; and they cast the man into the sepulchre of Elisha: and when the man was let down, and touched the bones of Elisha, he revived, and stood up on his feet. Acts 19:12 - So that from his body were brought unto the sick handkerchiefs or aprons, and the diseases departed from them, and the evil spirits went out of them. THE USE OF IMAGES AND STATUES IN WORSHIP IN THE BIBLE! IF GOD CAN MAKE STATUES WHICH IS NOT HIM BUT ANGELS FOR THE PURPOSE OF WORSHIPPING HIM, DO CATHOLICS SIN WHEN THEY DO WHAT GOD ALLOWS? THE PROTESTANTS THUS CALLS GOD A DECEIVER! Numbers 21:8 - And the LORD said unto Moses, Make thee a fiery serpent, and set it upon a pole: and it shall come to pass, that every one that is bitten, when he looketh upon it, shall live. 9 And Moses made a serpent of brass, and put it upon a pole, and it came to pass, that if a serpent had bitten any man, when he beheld the serpent of brass, he lived. It is an absolutely ridiculous objection of Protestants who say that the Bible condemns making a graven image, and therefore that Catholic statues, etc. are idolatrous. The context of the commandment is clearly forbidding worshipping the graven image, which Catholics (of course) do not do. THE UNIQUENESS OF MARY AS THE MOTHER OF GOD. SHE IS THE MOTHER OF GOD BUT PROTESTANTS TREAT HER AS ANY WOMAN. HOW SHAMEFUL AND DISRESPECTFUL AGAINST CHRIST! Gen. 3:15 - we see from the very beginning that God gives Mary a unique role in salvation history. God says "I will put enmity between you and the woman, between your seed and her seed." This refers to Jesus (the "emnity") and Mary (the "woman"). The phrase "her seed" (spermatos) is not seen elsewhere in Scripture. Gen 3:15 / Rev. 12:1 - the Scriptures begin and end with the woman battling satan. This points to the power of the woman with the seed and teaches us that Jesus and Mary are the new Adam and the new Eve. John 2:4, 19:26 - Jesus calls Mary "woman" as she is called in Gen. 3:15. Just as Eve was the mother of the old creation, Mary is the mother of the new creation. This woman's seed will crush the serpent's skull. Isaiah 7:14; Matt. 1:23 - a virgin (the Greek word used is "parthenos") will bear a Son named Emmanuel, which means "God is with us." John 1:14 - God in flesh dwelt among us. Mary is the Virgin Mother of God. Matt. 2:11 - Matthew emphasizes Jesus is with Mary His Mother, and the magi fall down before both of them, worshiping Jesus. Luke 1:35 - the child will be called holy, the Son of God. Mary is the Mother of the Son of God, or the Mother of God (the "Theotokos"). Luke 1:28 - "Hail Mary, full of grace, the Lord is with you." These are the words spoken by God and delivered to us by the angel Gabriel (who is a messenger of God). Thus, when Catholics recite this verse while praying the Rosary, they are uttering the words of God. Luke 1:28 - also, the phrase "full of grace" is translated from the Greek word "kecharitomene." This is a unique title given to Mary, and suggests a perfection of grace from a past event. Mary is not just "highly favored." She has been perfected in grace by God. Luke 1:38 - Mary's fiat is "let it be done to me according to thy word." Mary is the perfect model of faith in God, and is worthy of our veneration. Luke 1:42 - "Blessed are you among women, and blessed is the fruit of your womb, Jesus." The phrase "blessed are you among women" really means "you are most blessed of all women." A circumlocution is used because there is no superlative in the Greek language. Note also that Elizabeth praises Mary first, and then Jesus. This is hyperdulia (but not latria which is worship owed to God alone). We too can go through Mary to praise Jesus. Finally, Catholics repeat these divinely inspired words of Elizabeth in the Rosary. Luke 1:48 - Mary prophesies that all generations shall call her blessed, as Catholics do in the "Hail Mary" prayer. What Protestant churches have existed in all generations (none), and how many of them call Mary blessed with special prayers and devotions? Eph. 1:1; Phil. 1:1; Col. 1:2 - the word "saints" (in Hebrew "qaddiysh") means "holy" ones. So Mary is called Holy, the greatest Saint of all. Luke 2:35 - Simeon prophesies that a sword would also pierce Mary's soul. Mary thus plays a very important role in our redemption. While Jesus' suffering was all that we needed for redemption, God desired Mary to participate on a subordinate level in her Son's suffering, just as he allows us to participate through our own sufferings. Luke 2:19,51 - Mary kept in mind all these things as she pondered them in her heart. Catholics remember this by devoting themselves to Mary's Immaculate Heart and all the treasures and wisdom and knowledge contained therein. Thanks for the contribution in honor of the Mother of God! Thank you David! As I’ve often stated, the positive comments from my readers letting me know they get something out of this blog, keeps me writing! The picking and choosing of what Papal teachings on the Papacy itself is exactly what the R&R crowd does to justify their position. Suarez and Bellarmine and the others they quote ad nauseum carry no weight once defined magesterially by a True Pope. Hail and blessed be the hour and moment in which the Son of God was born of the most pure Virgin Mary, at midnight, in Bethlehem, in piercing cold. In that hour, vouchsafe, O my God! to hear my prayer and grant my desires (mention your intentions here), through the merits of Our Savior Jesus Christ, and of His Blessed Mother. Amen. Some time ago I made this Novena to ask God for a life partner should it please Him. Less than 6 months later, I met the most wonderful woman who would become my wife! Prayers are always answered if they are for our own good, and we ask fulfilling the requirements of Prayer. Your story is a good example of this! What's interesting is that protestants love to bring up how the Jewish canon rejects them nowadays. They'd rather trust the Pharisees than the "Papists"!